I teach creative writing to transitional English students at the college level, as well as to English language learners in the upper elementary grades. Regardless of which age group I’m working with, my biggest challenge is teaching revision. I know how I would revise a student’s draft, but simply communicating my own ideas about next steps for a piece in progress is not the same as teaching students to synthesize and implement revision strategies independently. For some students, feedback and suggestions in the margins are enough to get them on track (i.e., “Add sensory details here.”), but others need more visual graphic organizers to guide them. 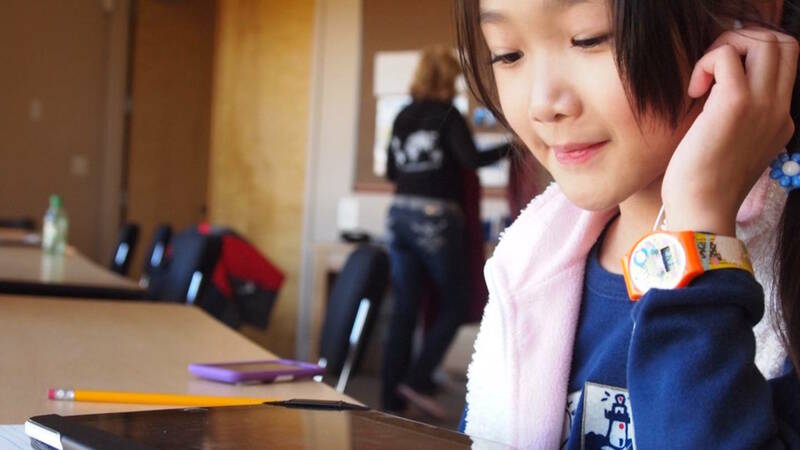 For these students, Google Docs tables can function as quick and sturdy — but removable — scaffolds that bring structure and focus to their writing as they sculpt and fine-tune their work. Although “show, don’t tell” is the writing teacher’s mantra, sensory details are often absent from students’ early drafts where the goal is “getting it down” — the plot, gist, idea — in broad brush strokes. At this early stage, I encourage students to follow the draft wherever it leads them. When they get to a stopping place or an “I’m stuck” or “I’m done” moment, I ask them to break their piece up into chunks, moments or scenes by hitting enter a few times in between sections. In each new space, they add a table to serve as sensory map to the section beneath it where they will zoom in on details that “show.” For students who struggle getting even a first draft down, I keep a link to an empty sensory map on a Google doc, like this one, in the About section of my Google Classroom. Students can open this document, go to File>Make a copy then add details to their copy of the table. Below is an early draft of the opening of a superhero story by a fourth grade student writer named Daniel. This excerpt, like many early student drafts, is all “telling” about a pivotal moment the author must “show” in scene. After a writing conference with me about his opening, Daniel added the table below to map out the moment where his hero first acquires his superpowers. He began with boxes for each of the five senses, then zoomed in further on the sense of touch, adding a smaller table inside the sense of touch box where he wrote about how four of his hero’s individual body parts felt or reacted. This student writer accomplished so much of the heavy lifting that substantive revision demands right there in the cells of his sensory map. Although he began his draft in third person, with tense shifts between past and present, narration in his sensory map is in second person and consistently in present tense. Carrying that shift over into his revision resulted in a beautiful illustration of the role point of view and narrative distance play in developing character and tone, something I spotlighted when Daniel workshopped his revision with the class. The “you” brings a certain urgency and intimacy to the tone here, which, after some discussion, the class agreed was right for this piece and is especially fresh and unique in superhero genre writing. We also discussed sentence length, another feature that emerged as Daniel completed his sensory map. The short lines and repetition of “your (body part)” reflect the shock and suddenness of the protagonist’s transformative experience. Like many beginning writers, these two relied on a “telling” adjective (cool) that doesn’t give readers much of a sense of the place they described — none of its sights, smells or sounds. 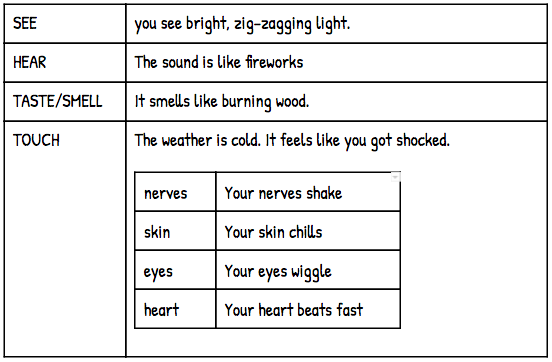 After they wrote these first two lines, Binh and Ali inserted the sensory map below into their draft. Like the map in the fiction example above, it includes headings for the five senses, but this one also includes a place column to help the writers organize their descriptions of a couple of individual smaller spaces (their school and a sandwich shop) within the larger one they chose to write about (their neighborhood). After sensory mapping a draft whose initial description relied solely on a generic catch-all of an adjective, Binh and Ali developed a nuanced and multilayered reflection that lays bare shifts and calibrations in their thinking that “cool” can’t begin to convey. 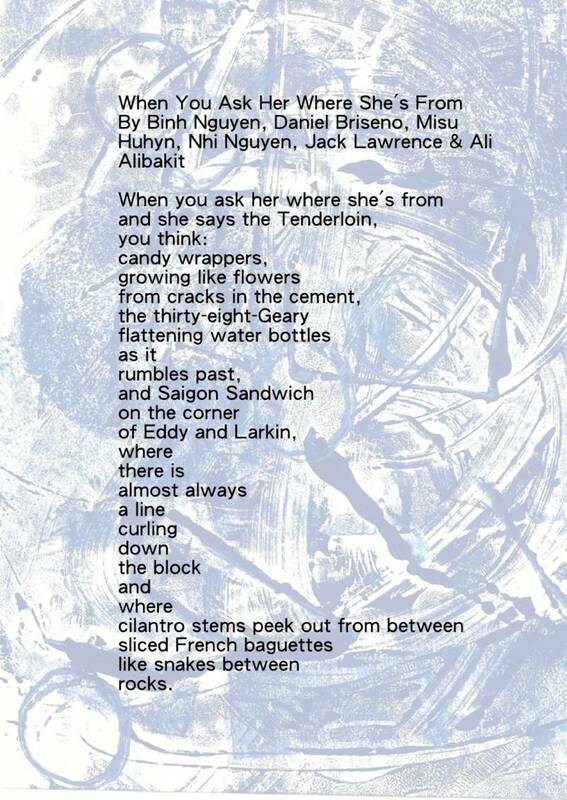 In the process of revising and refining this piece, these poets’ perspectives on the world around them deepened and changed: The Tenderloin is not cool or uncool; it’s not bad or good. As the final draft of their poem shows us, it’s both, and neither, and the things in between.